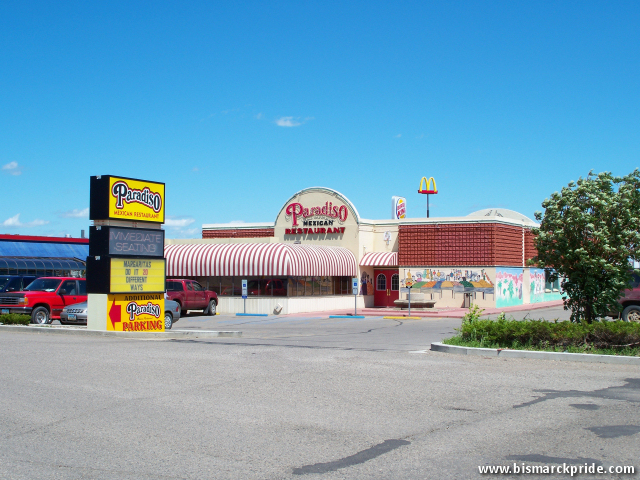 Paradiso is a small regional Mexican Restaurant chain, with locations in Bismarck, Fargo, Jamestown, Grand Forks, and Minot (all in North Dakota). The Bismarck location opened in 1981. Paradiso completed major renovation of its bar in 2008. Opened in 1989, Bismarck’s Red Lobster underwent a major facelift in 2008. Located near Oasis Truck Stop in eastern Bismarck.